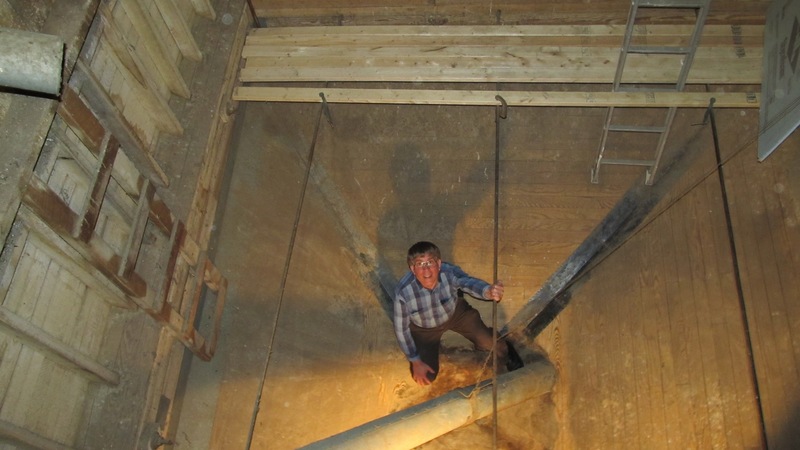 These pictures show a typical grain bin at the Emlenton Mill. At the bottom of the vertical picture you can see the sloping wall has been cut away revealing the horizontal sub floor and the supporting framework for the sloped walls. 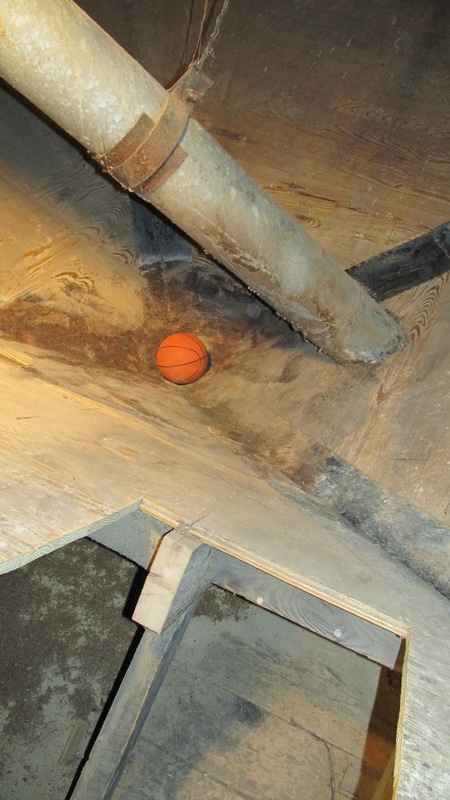 The basketball is sitting at the very bottom of the bin and covers the output chute. The horizontal picture shows the size of the bin and the three iron rods that keep the sides from bowing out due to the weight of the grain. The chute that passes through the bin and the floor is from a different bin and is just passing through. Tomorrow more about the 1970’s studio, WRCT and CMU.